Determine the designated area for installing brick / pavers. Select a brick / paver. 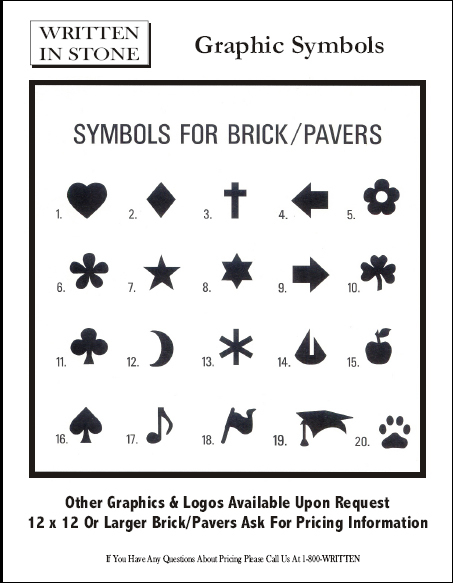 Written In Stone can help you select a brick / paver from a variety of sizes and colors. You can purchase the brick / pavers directly from Written In Stone or, you can supply the brick / pavers that you would like to have engraved. Determine the number of brick / pavers needed for the project. Establish how much money you want to raise. 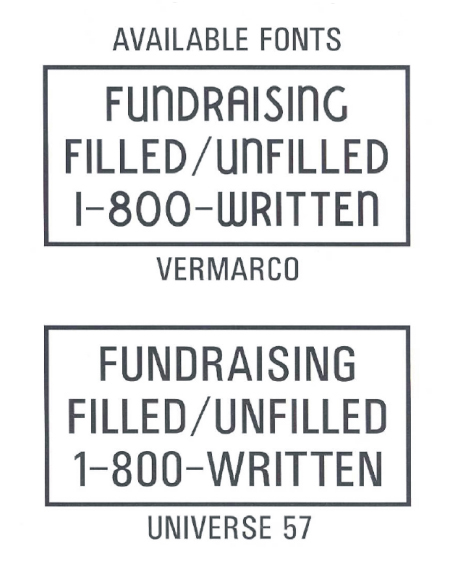 Design an order form that will be distributed to prospective donors. Written In Stone will either create a personalized order form for your organization that will suit your fundraising project or you have have one created and Written In Stone will review the form to ensure accurate collection of information. 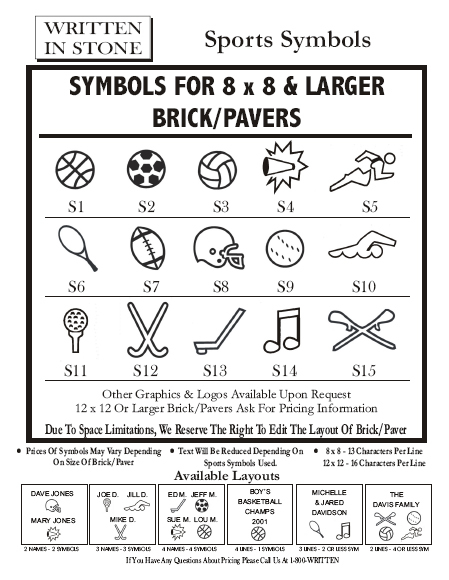 Begin fundraising and sell personalized brick / pavers. 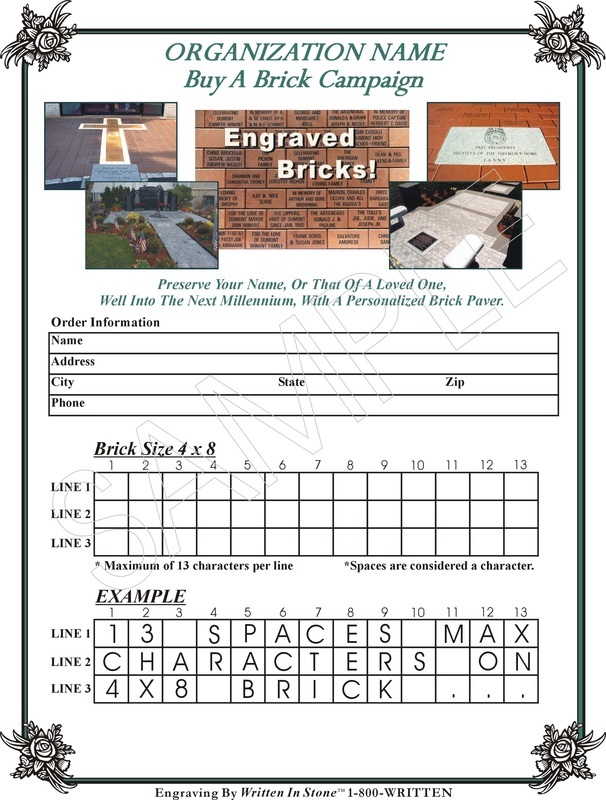 Submit quantity of order, names and deposit to Written In Stone (if you are supplying the brick / pavers: deliver blank brick / pavers to Written In Stone). Once we have this information, we will then proceed with creating paper proofs that will be submitted to you for your approval. Install brick / pavers in designated area. Written In Stone is dedicated to supporting your fundraising efforts. Please contact us and we will gladly answer any questions regarding the brick / paver fundraising process. Submit names to be engraved via fax or email (written2000@aol.com). All text for inscriptions must be in CAPITAL letters (shown in examples below) and typed in a Microsoft Word format. Brick inscriptions must be separated by a double space in between each inscription. Text should be left justified on the page. All finished brick inscriptions will be CENTER JUSTIFIED on the brick / paver.